At SendGrid, we literally send BILLIONS of emails every day as businesses connect with their customers via receipts, confirmations, promotions, announcements, you name it. All that email amounts to an amazing opportunity for engaging recipients with your brand. As engagement strategies continue to become more and more complex, it becomes more and more important to seize every opportunity to reinforce your brand. When you look at the expanding variety of engagement channels before us, email remains the greatest opportunity for thoughtful brand management. With that in mind, it’s absolutely critical to look at every email, be it transactional or promotional, as an opportunity to tell your brand story and emotionally connect with your consumer. 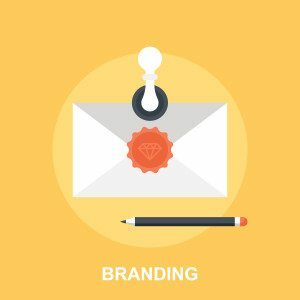 Does your email match the personality of your brand, and more importantly, is it aligned with the type of message you’re sending? Do verification emails have the same tone as a monthly newsletter? This is an opportunity to bring more layers of your brand to your customer. Every email is a chance to reinforce the benefits of being your customer. For example, a simple receipt could remind the customer of the value they’re getting from you. A promotion should create the opportunity to showcase new value you’re creating for them. Everything you do benefits your customer, that’s why you’re emailing them in the first place. So make sure your email clearly demonstrates those benefits. Is it clean and easy to read? Reinforce your brand quickly. Make sure your logo is one of the first things your subscribers see, so it anchors them to your brand right away. Use imagery and colors that reinforce your brand. While typography in email is pretty limited, you should make sure you are using fonts that are similar to your corporate font(s). If your headline font is a sans serif font, use something like Arial, or Tahoma. If your body copy font is a serif font, use something like Times or Georgia. There are a select number of cross-platform fonts, so make sure you’re sending your email with something that will render across multiple email clients. Does the design evoke the same connection to your brand on mobile? Don’t just check to see that it’ll populate on mobile, make sure it drives the same value as the original. Before you hit send on your next newsletter, take a pause to make sure the communication you’re about to send not only delivers the message, but creates a meaningful connection that draws your customer further into a relationship with your brand. Don’t just send messages…engage people. As the Sr. Director of Marketing at SendGrid, Dan's passion is to drive thoughtful and engaging customer experiences via email. Every interaction between a business and its customer is an opportunity for positive engagement. Let's make them count.